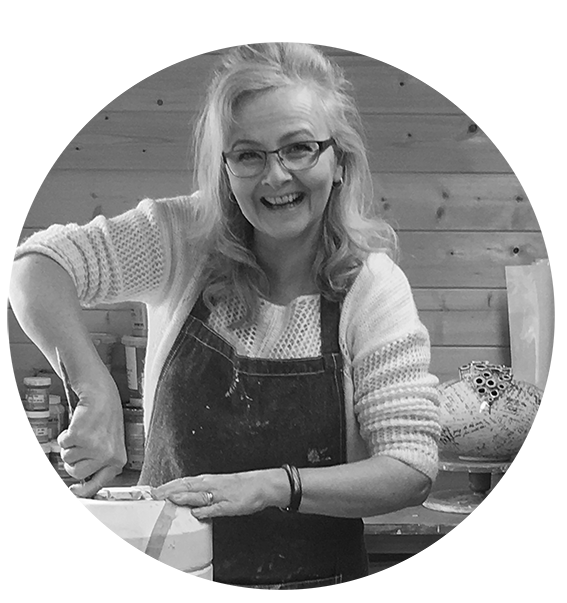 Diane Griffin discovered a love for clay at an early age. 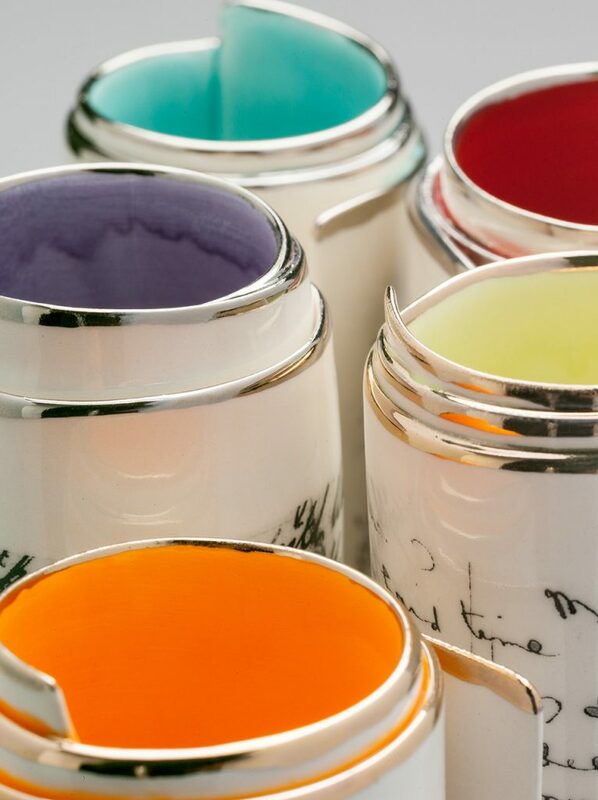 She went on to study Ceramics at degree level and has been working with ceramics ever since. The inspiration for Diane’s work stems from a trip to Jerusalem many years ago where she visited the Wailing Wall. The thousands of wishes and prayers written on paper and crammed between the stones in the wall intrigued her. She loved this idea of leaving something of yourself, perhaps something very personal yet it’s in a public place. Diane was inspired by the collective focus for so many peoples’ hopes and wishes at this ancient site and their interaction with it. Much like the Love Letters’ Wall in Verona and the Love Locks’ Bridge in Paris. 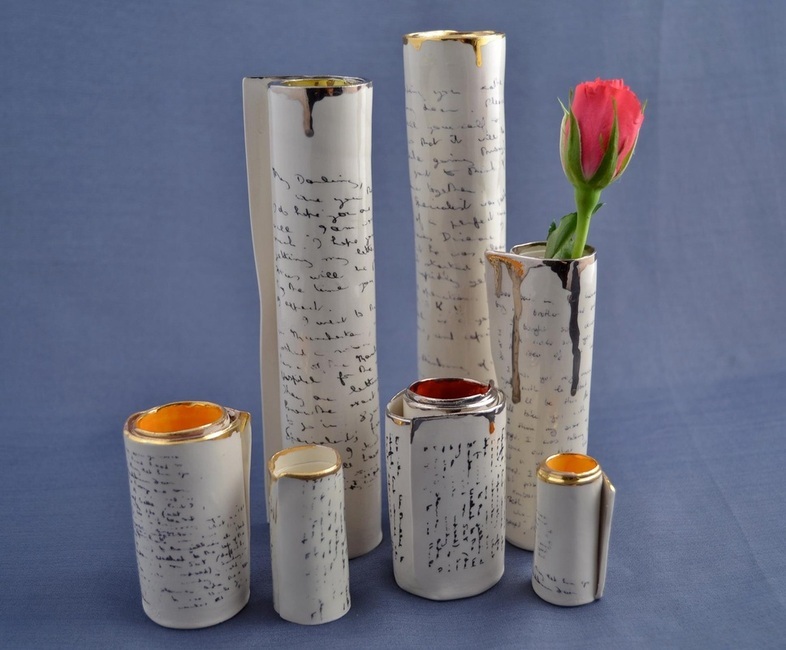 She has also recently incorporated some hand written scripts into her work which are taken from old family letters such as those exchanged by her grandparents during the war in 1944. 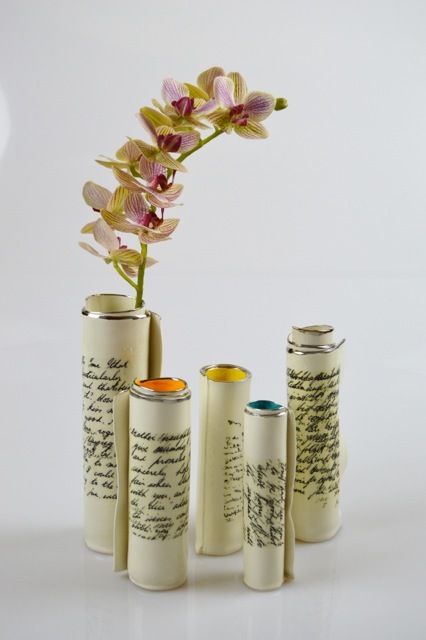 She overlays and essentially redesigns the script so that you can’t read the whole letter but can recognise words or parts of sentences which keeps it private yet the final piece will sit in a public place such as a gallery or someone’s home. 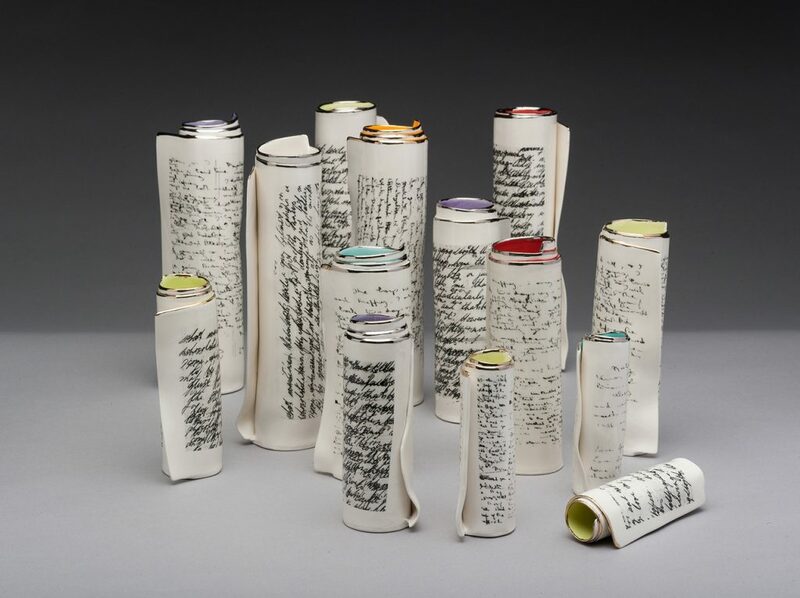 Her work features many paper-like scrolls, sometimes single scrolls as a bud vase and other times pushed together to form a sculptural focus on a larger vase. She enjoys using a combination of techniques such as slip casting and hand building. She uses a variety of scroll sizes for visual interest. Her vessels are aesthetically pleasing but functional too. Diane has aimed to strike a balance between a sculptural aesthetic and a practical function. 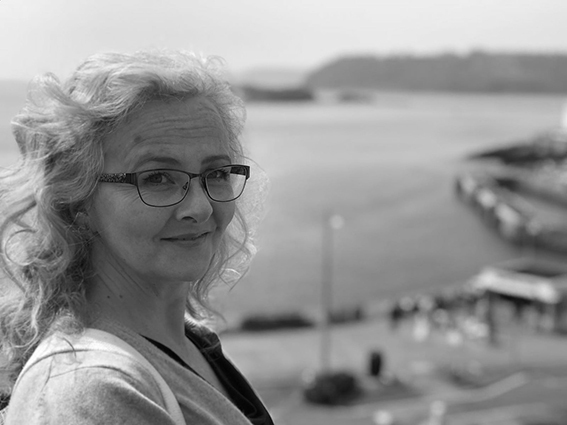 We worked with Diane during the summer of 2017 as part of our Design Nation exhibition. 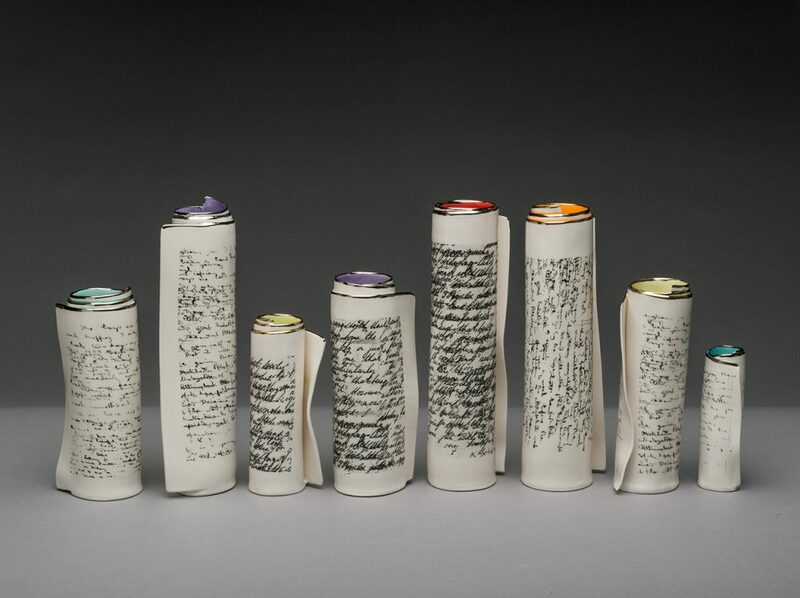 We are delighted to bring her scrolled ceramics back to Hebden Bridge for our CHRISTMAS AT HEART exhibition. Follow Diane Griffin on Instagram.